One of the more ubiquitous presences at this year’s Sharjah Children’s Reading Festival, earlier this month, was British children’s cookbook author Helen Nathan. Whether speaking at a local school, giving cooking demonstrations, or participating in panel discussions, she was everywhere, relentlessly (albeit with a smile) promoting herself, her books, her website, and her brand. And a brand it most definitely is. Ms. Nathan’s story is a fascinating one; one that can serve as an example for other aspiring authors in today’s unsettled publishing world, where so much of the work of marketing seems to fall upon the authors themselves. Here’s the story. After several years of dead-end hotel jobs, Nathan’s culinary career really began running a restaurant in Wimbledon, south London. She soon found herself in the wine trade as a buyer, before ultimately ending up as marketing director for one of the UK’s leading wine importers, Bibendum Wine. In an interview, Nathan explained how she developed and then implemented her plan. But a preliminary talk with publishers resulted in a series of “’no’s,” along with one important question: How would the books be categorized? Would they be fiction or baking? Nathan decided that she needed a complete marketing plan. “…the licensing deals to date are worth approximately four times that of the royalties from the book, ” says author Helen Nathan. So with a story, a heroine, and a marketing plan in place, Nathan got to work. Of course, there was no book as of yet. But, backed with an agreement with McDougall’s, within a week Nathan had a literary agent, along with a publishing deal with Pavilion Publishing. 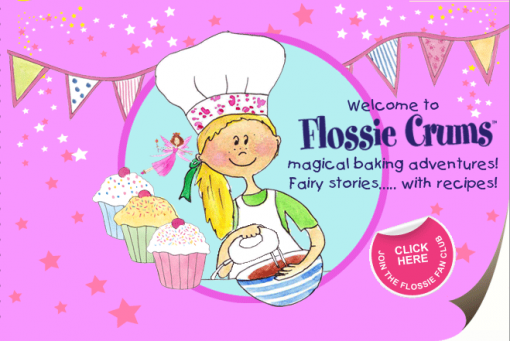 The first book in the series, Flossie Crums: The Fairies Cupcake Ball, went into most supermarket chains in 2009 and Flossie herself has now appeared on more than 3 million bags of McDougall’s flour. 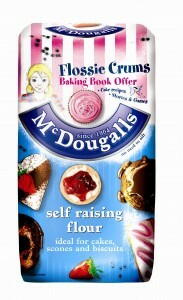 And as a result of the deal with McDougall’s, there are now three Flossie books in print, along with multiple licenses with other FMCG companies. There is Flossie Crums cupcake decorating paraphernalia galore. 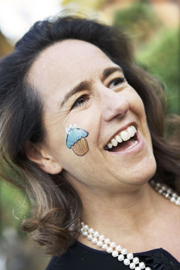 There is also a plan to create a worldwide children’s baking brand, with a strong online presence and a TV show. Visit the Flossie Crums website. You can contact Nathan at helen.nathan@btinternet.com.